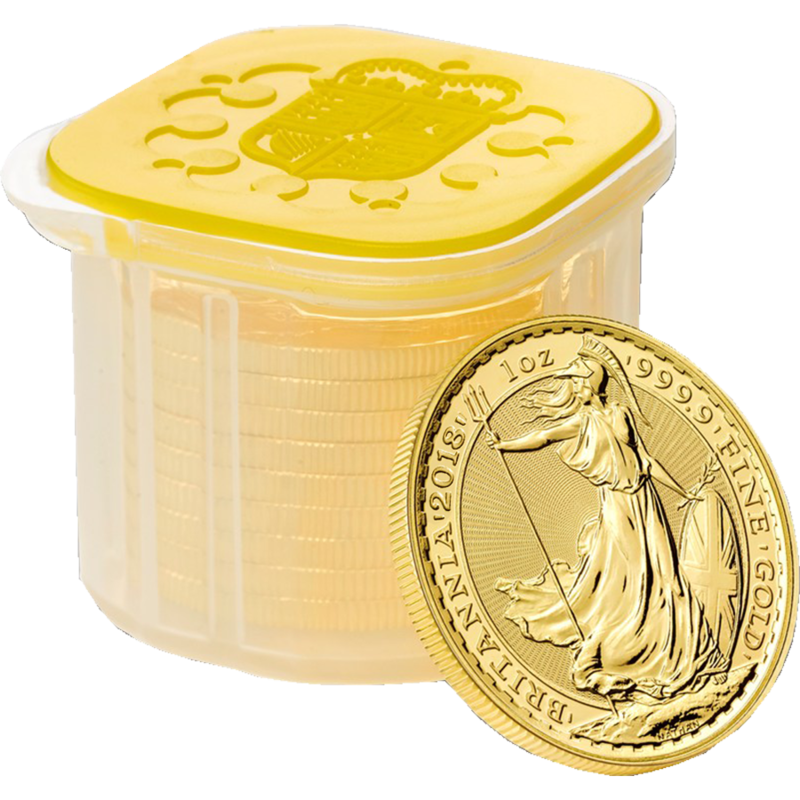 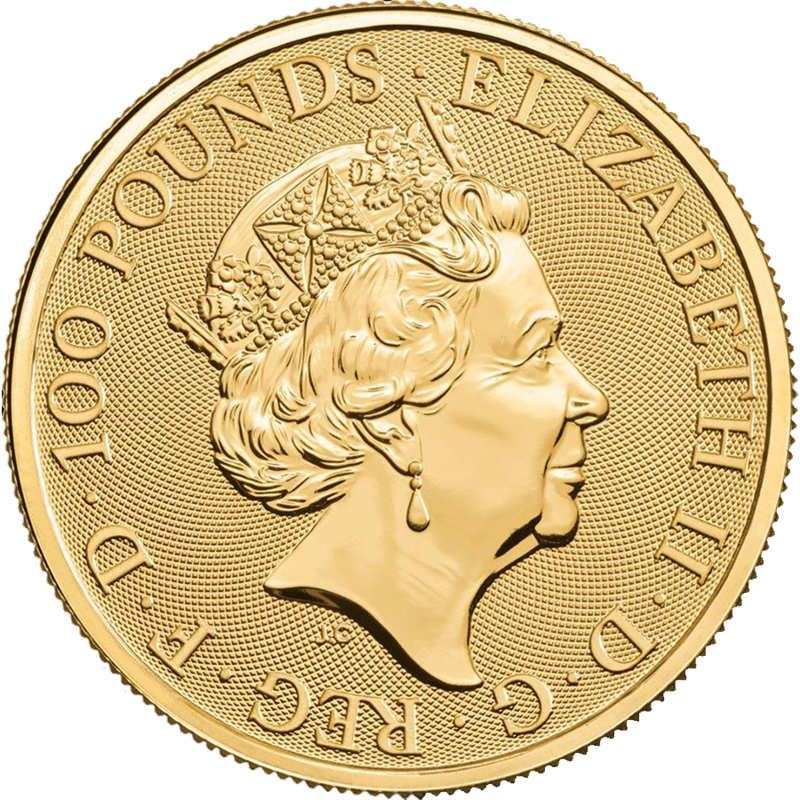 These 2018 UK Queen’s Beasts The Black Bull of Clarence 1oz Gold Coins (10 Coins) are supplied in an original Royal Mint tube. 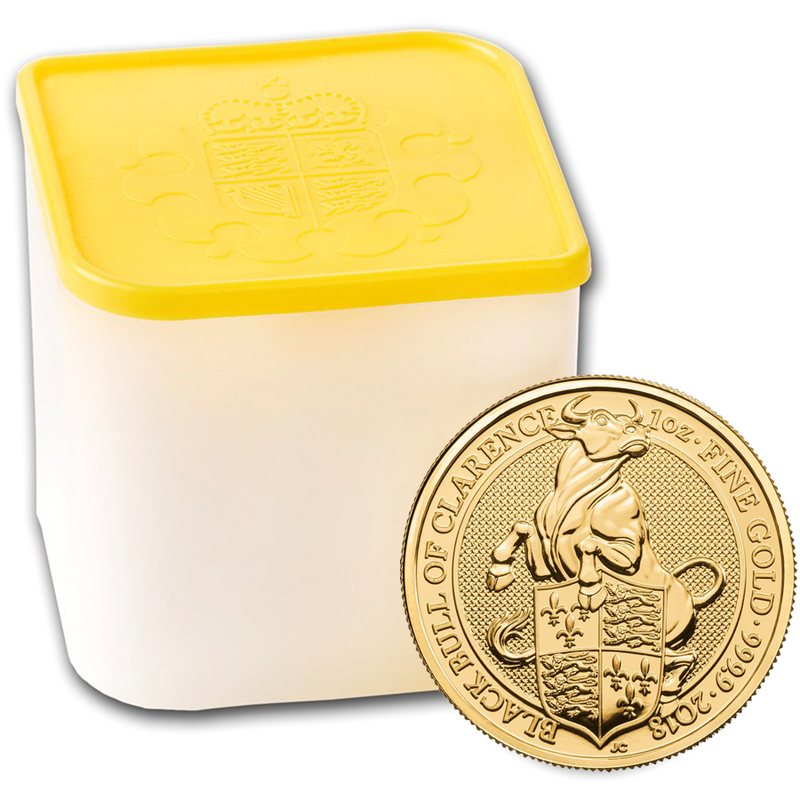 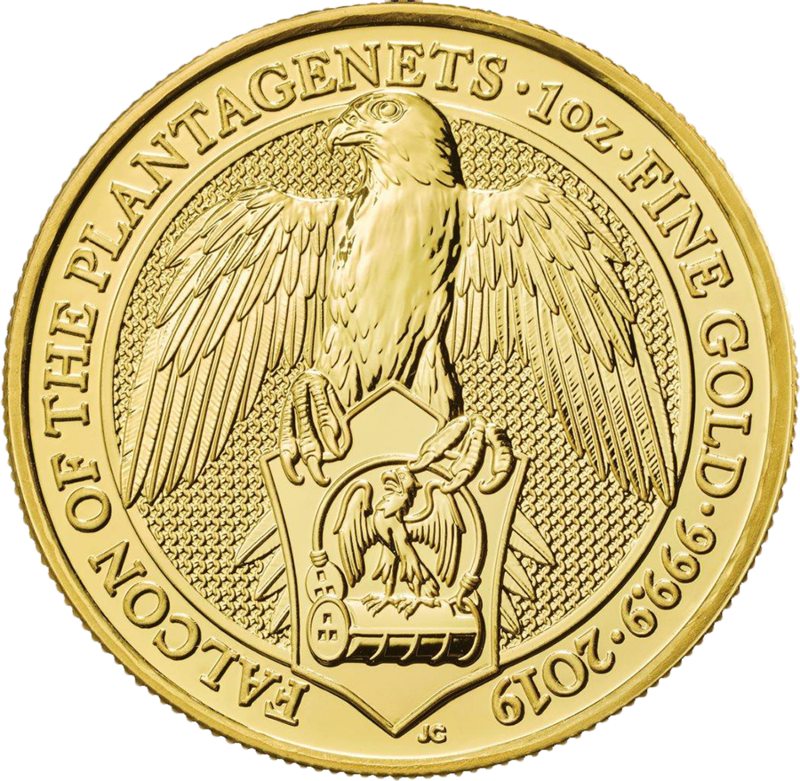 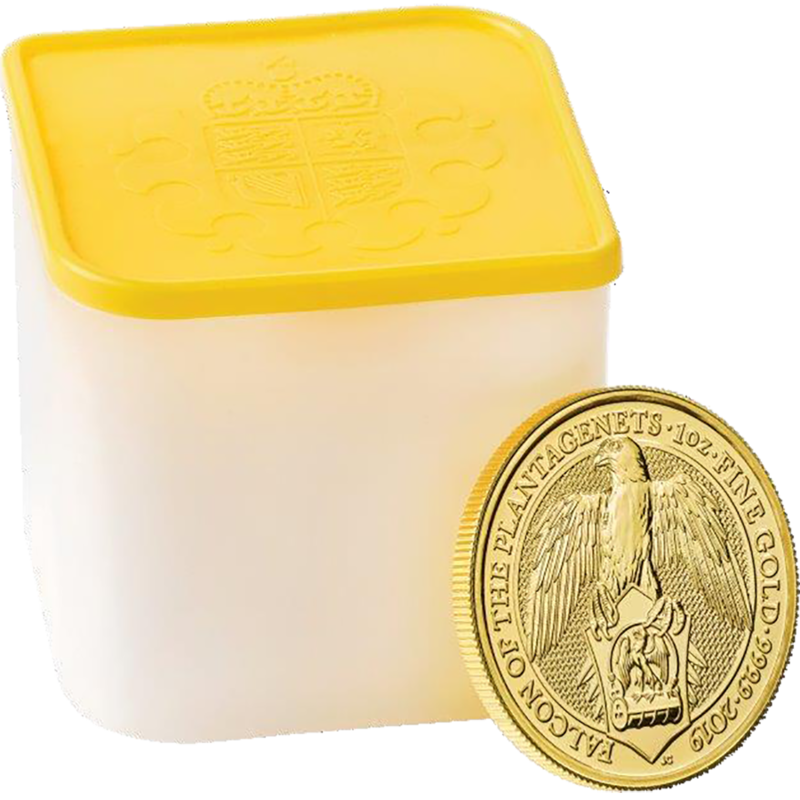 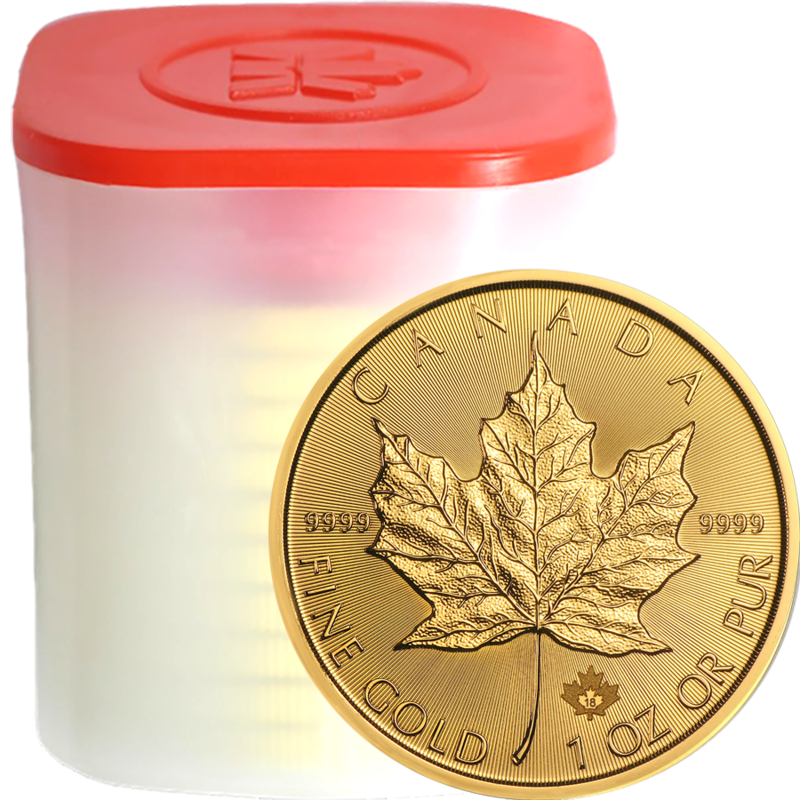 The Black Bull of Clarence 1oz Gold Coin is the fifth release from the exclusive Royal Mint bullion range, featuring an original reverse design. 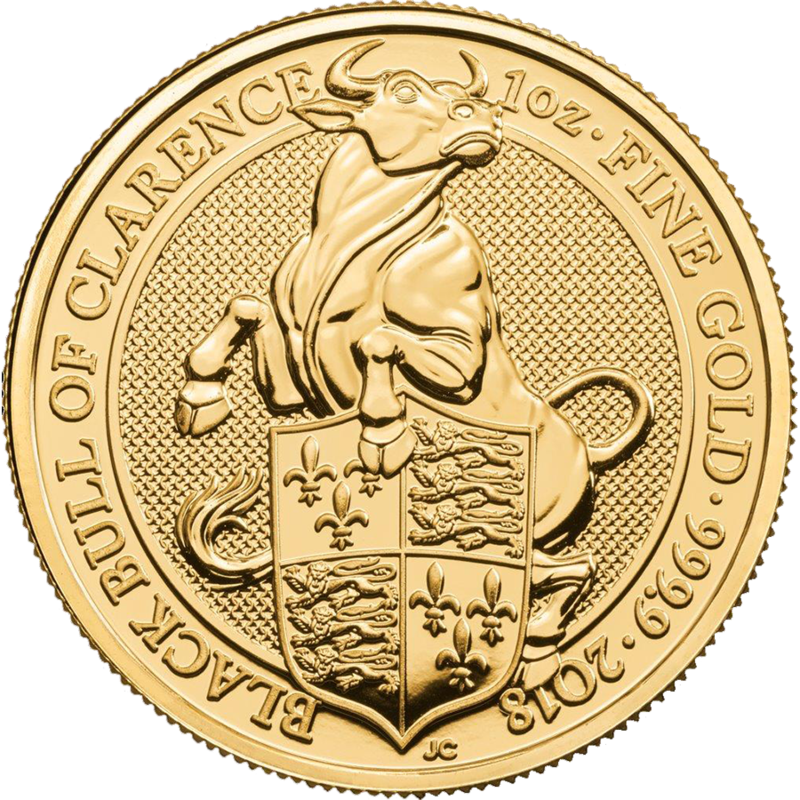 The coin's reverse features a stylised version of the majestic Black Bull of Clarence holding the shield of the arms. 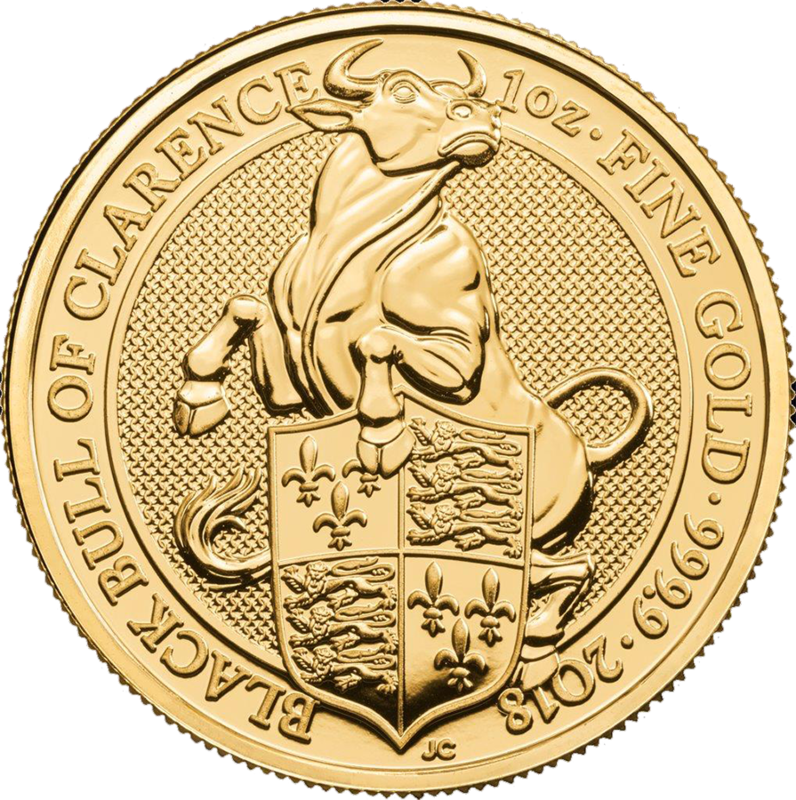 The year-date and ‘Black Bull of Clarence’ also feature.